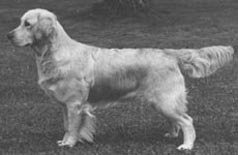 In 1980 came Ch Gyrima Zacharias (Sandusky Bartholomew of Gyrima-Gyrima Genevieve) to Dewmist. 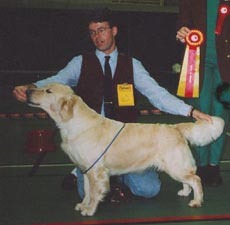 A topwinning dog with numerous BOBs and BIS awards. 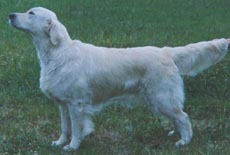 He contributed to further successes and is also behind most winning dogs bred at Dewmist. 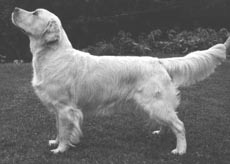 The Zacharias-daughter Dewmist Sunshine of My Life was mated to a winning dog of the time, Ch Mjaerumhogdas Limelight in Norway and produced the CC winning Dewmist Masquerade, Dewmist Marcella och Dewmist Maxamillion. 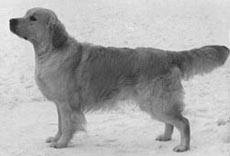 Mrs karin Eriksson (Knegaren prefix) and the Dewmist kennels imported the illustrous and most valuable studdogs Styal Samarkand (Ch Nortonwood Faunus-Ch Styal Susila) and Ch Sansue Golden Arrow (Gaineda Consolidator of Sansue-Ch Sansue Wrainbow) in the beginning of the 80ies. They did a lot of winning in the rings including several Best In Show awards but maybe they will be best remembered for being sound studdogs producing countless winners. 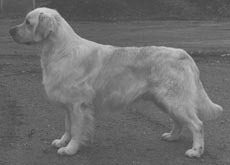 Ch Dewmist Deirdre Dee, who at 9 years picked up a BOB during 1998. Ch Dewmist Solitaire. Another littermate was Dewmist Sonatina who won 3 CCs. All these dogs produced further generations of champions worldwide.